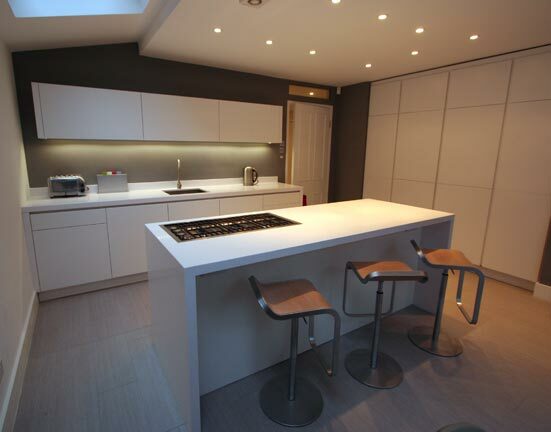 The kitchen has satin spray finish doors with a corian worktop and breakfast bar. There are no handles on these doors as there are finger grooves to open them. There is also led strip lighting under the units.